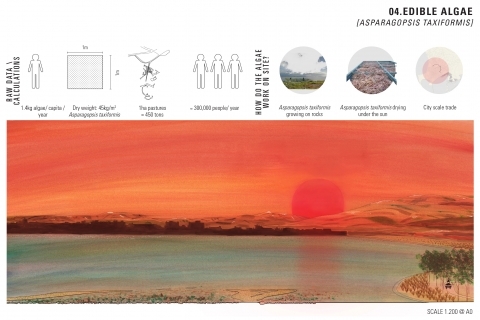 The Messolonghi Lagoon complex is located in the west part of Mainland Greece, at the Aitolia- Akarnania County, and is the biggest shallow coastal lagoon in Greece. 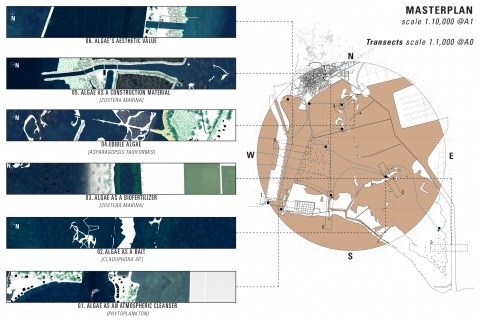 The study area extends over 33.687 ha. 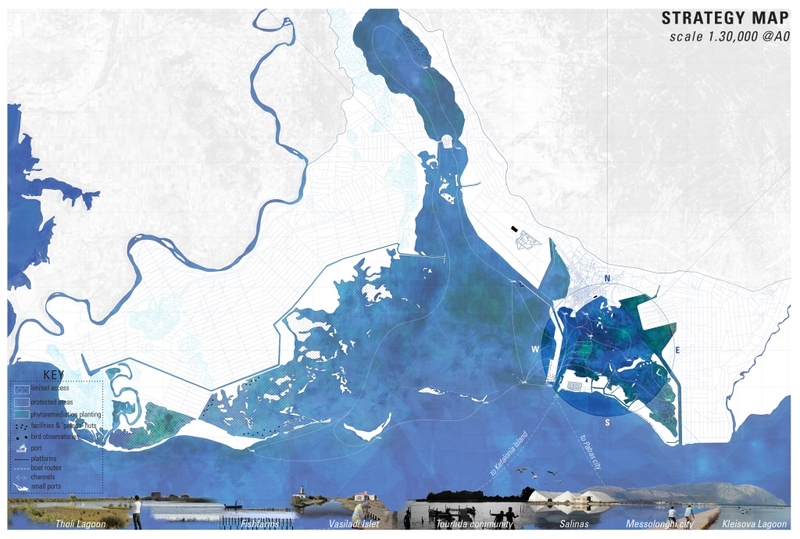 The area is connected with the Gulf of Patras to the south and with the mainland to the north, where the city of Messologhi is located. 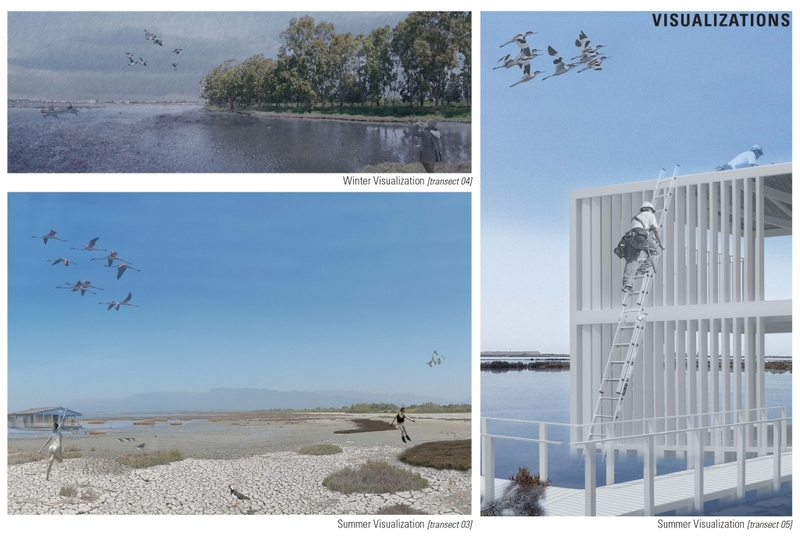 It is included in the Ramsar Convention on Wetlands since 1975 (GR2310001) (RSIS, 2017), the NATURA 2000 Network (GR2310002) and the Montre list since 1990 as an endangered important ecological area. 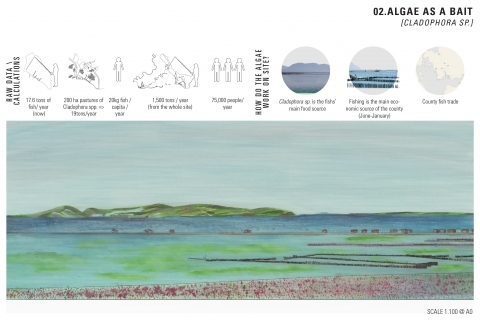 The proposal focuses at the Kleisova lagoon which is located at the east part of the site. 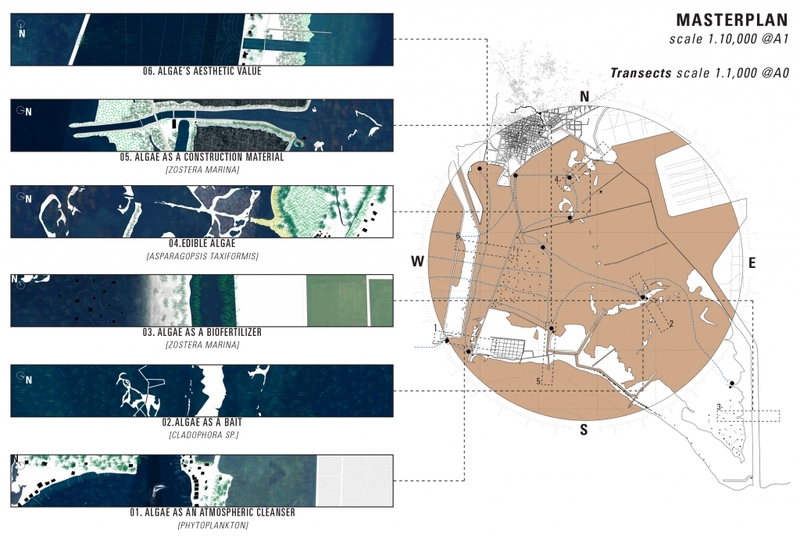 The study area shows great complexity. It is in close proximity with the city of Messolonghi at the North and large areas of arable land on the East. On the West and South part of the site illegal summer settlements have been established creating the Tourlida community. During the 1970’s the Lagoon has been through major transformations including its division to the east channel, where the irrigation system of the adjacent arable land ends; the creation of the Messolonghi port, Tourlida road and island which partially isolated it from the rest of the Lagoon complex; and the creation of embankments inside the lagoon which altered its salinity values and tide differences. The project aims to introduce a new culture and economic source for the city of Messolonghi which is evolved around algae. 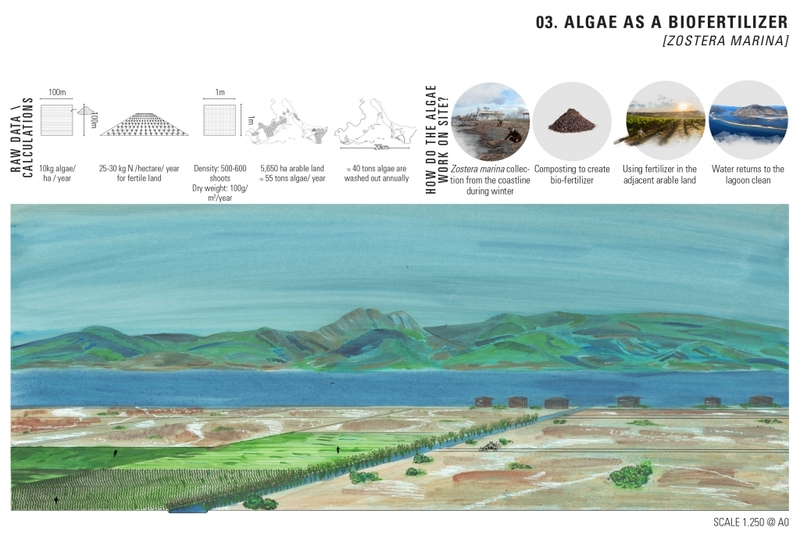 Algae are able to grow and survive in all the different salinity environments existing around the lagoon and also are related with the current primary economic source of the city which is fishing. 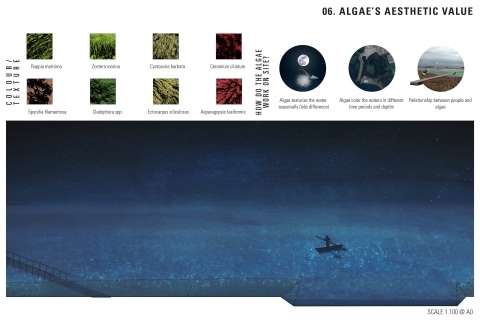 Their value is also recognized globally both for its ecological importance, since they produce the 70% of oxygen in the atmosphere, but also for its sustainability as a construction material, its nutritional constituents as a food source and its economical importance as the link to food chain, fertilizer, food etc. 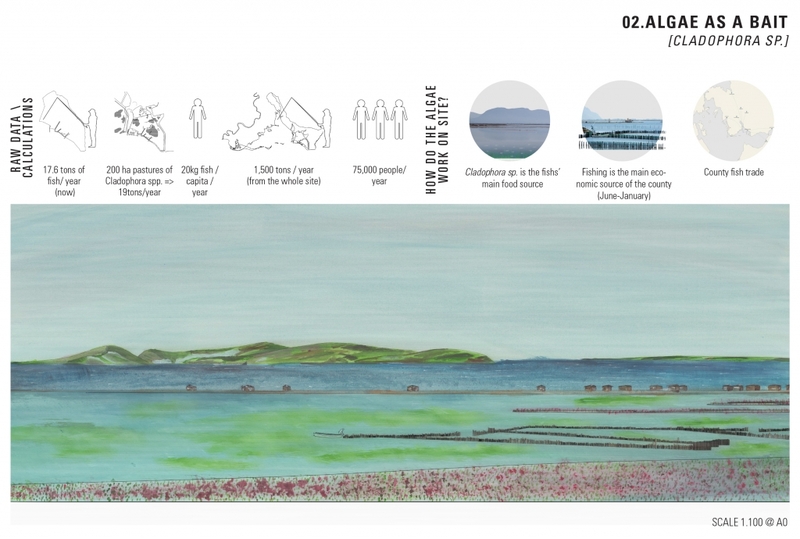 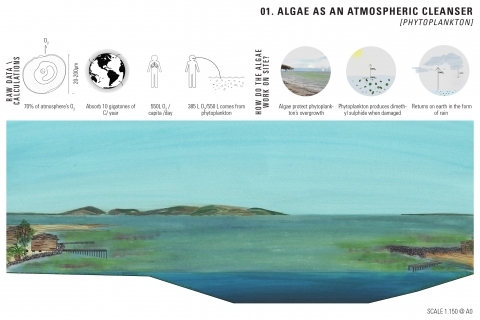 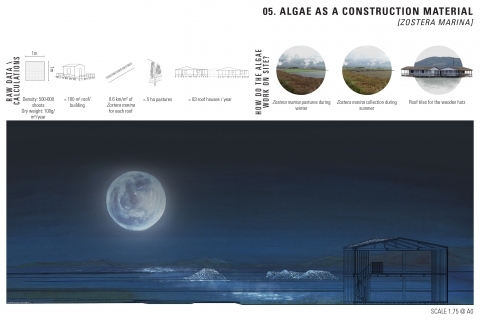 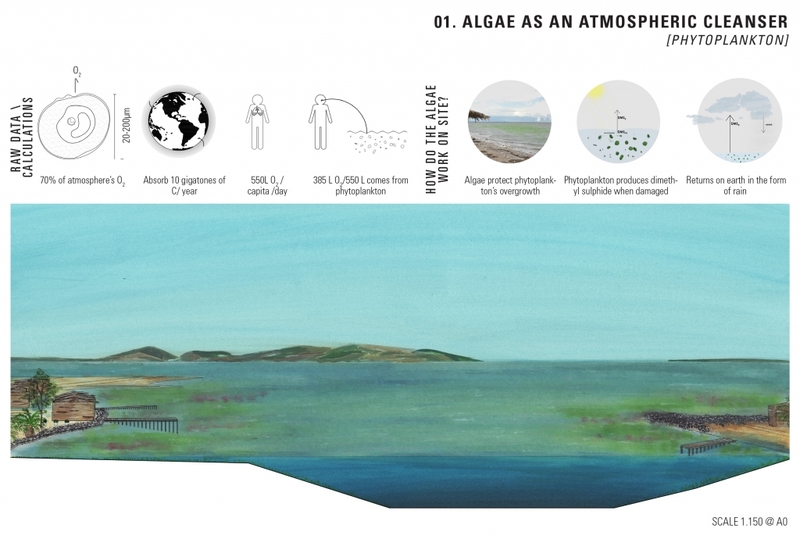 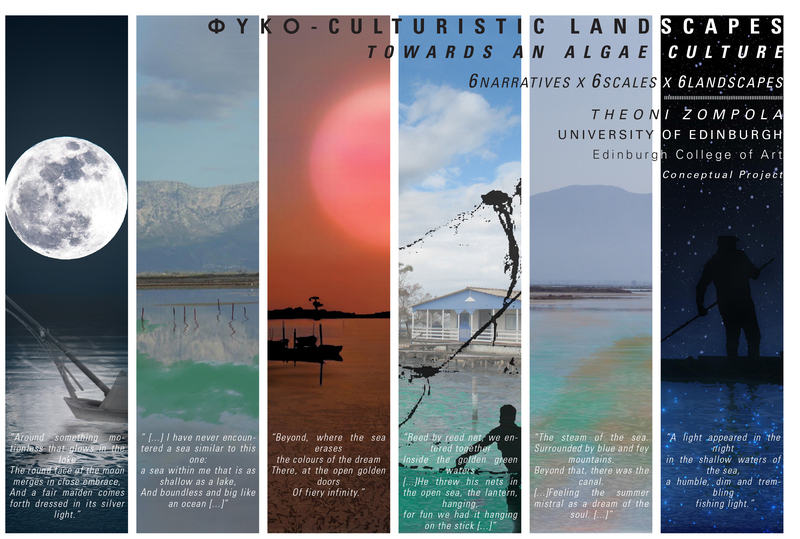 ΦΥΚΟ-culturistic landscapes is exploring the different uses of algae in six (6) different scales in six (6) different sites around the Kleisova lagoon, from the global scale, as an atmospheric cleanser, down to 1:1 scale of the algae’s aesthetic value.